Terrific post, Linda. It seems obvious to us that the first problem a writer has is having something to say. You can't shove a piece of paper in front of a kid and say, "Write something" let alone asking them to "write something persuasive." The initial reaction to the blank page is a blank mind and then panic can set in, especially if it's for a test. In order to have something to say, one must be informed. This appears to be the missing link in many of the approaches to writing instruction. Even professional writers begin projects by reading and reading widely. Why is this missing from so much writing instruction? I think it is much easier for children to understand writer's craft when they explore more than one text. It is a very abstract notion, and it is difficult for them to "see" the moves the author is making. 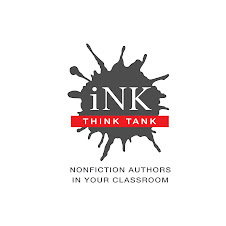 But if they look at several books on a topic, they can clearly see the different choices that each author makes in terms of point-of-view, mood, organization, etc., as well as what is included and excluded across the texts. Linda, if you are interested, I can email you a PDF of an article I wrote in 2009 on using the Pale Male books in order to explore critical literacy in nonfiction books. We can compare and contrast techniques!